may classes: 2nd, 9th, 16th, 23rd. special events: april 7th 20th anniversary show at quilombo, june 21st make music, july 4th parade, july 28th show. please get ready for 4th of july parade in evanston! only 2 more wednesday bateria rehearsals left (the 21st and 28th) @ SRBCC 7:30-9pm. 4048 w. armitage. most likely will be performing all numbered breaks (1-6) thumb break and baiana. bateria members will need an EEDS shirt, white pants/shorts, pleasant attitude, and appropriate swing feel. working on scheduling another rehearsal with the dancers. TBA. trying to finalize our theme with “evanston’s heroes are america’s heroes: our first responders.” the bateria is going with a fireman theme. a few surprises are in store. will need to assemble on central street in evanston at our assigned location at 12:30 pm. parade is at 2 pm. we are working on a 5 pm post-hang gig and celebration. Winter is finally here, which means it’s the perfect time to warm up by hitting the drums with EEDS! Throughout the month of January we are offering FREE classes as part of our preparations for Carnaval 2016. Carnaval is always our biggest event of the year and we want to get as many people as we can playing, dancing, and singing along! During this special session we If you are new to EEDS this is the perfect opportunity to get started. You will learn to play the fundamentals of Samba. We will also be learning a samba-enredo (the school’s song for the year) that we will be featured at our Carnaval celebration later this spring. Our first class is TONIGHT (6 Jan) so forget those humpday blues and make your way over to SRBCC and help us keep the tasty beats going! Please visit the Facebook page for the event for updates, pics, videos, and much more! We have a lot of exciting things going on with EEDS this fall after a fantastic spring and summer! We’ve been working hard, playing hard and making some great music, and our September schedule is shaping up with new classes, performances and collaborations. To paraphrase Reed, does this look like a great fall schedule… or the GREATEST fall schedule?!?!?! 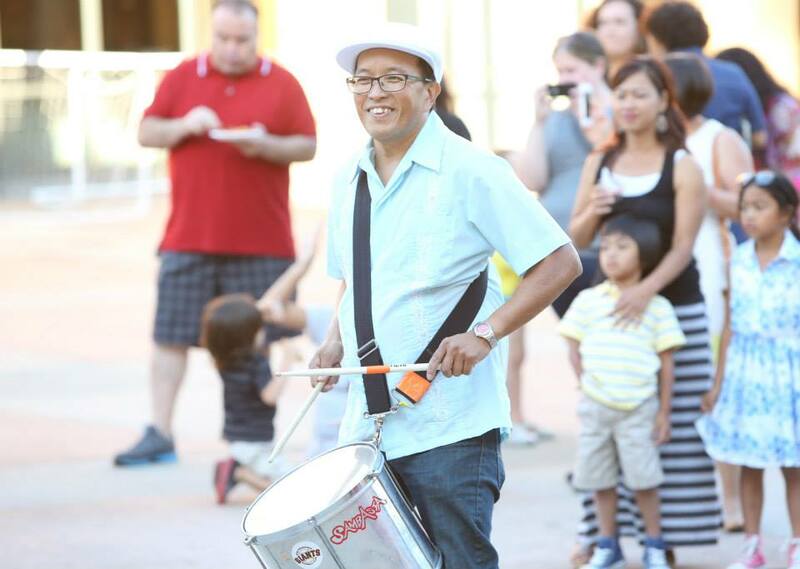 Fall Percussion Classes—We are excited to announce our next session of percussion classes. The 12-week session will begin Wednesday Sep. 2, 7-830pm at SRBCC. Fall BEGINNER Percussion Classes— UPDATE: We have changed the details for our beginner’s class. Please see the announcement here. 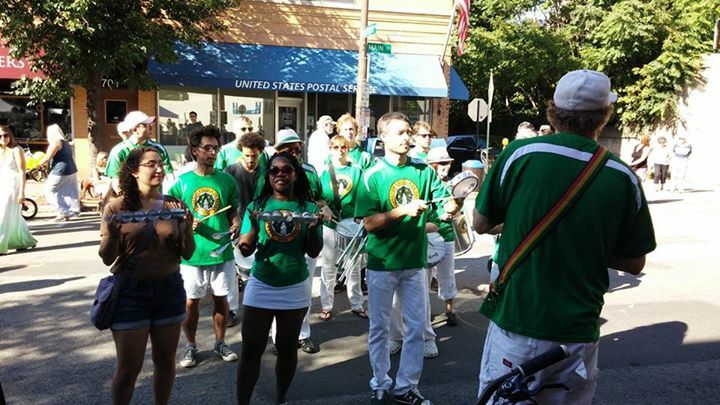 Evanston Streets Alive!—After a great time last year at this festival that promotes culture, community and sustainable living, we are going back to play more sweet samba beats! So come out and enjoy the beginning of Fall with a great festival and some great music. Workshop with Bateria Quilombola and Dudu Fuentes—Join Bateria Quilombola and Dudu Fuentes at their headquarters for an exciting Brazilian music workshop! All levels welcome. Friday Sep. 18, 7-9pm, $25. 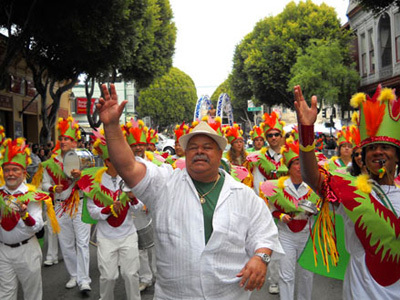 Dudu Fuentes is the founder and driving force of the new “blocos” style of Rio de Janeiro: Monobloco, Bangalafumenga, and most recently Batucalacatuca. Willy Street Parade with the Handphibians—We will be playing in the Willy Street Parade in beautiful Madison, WI with the Handphibians. 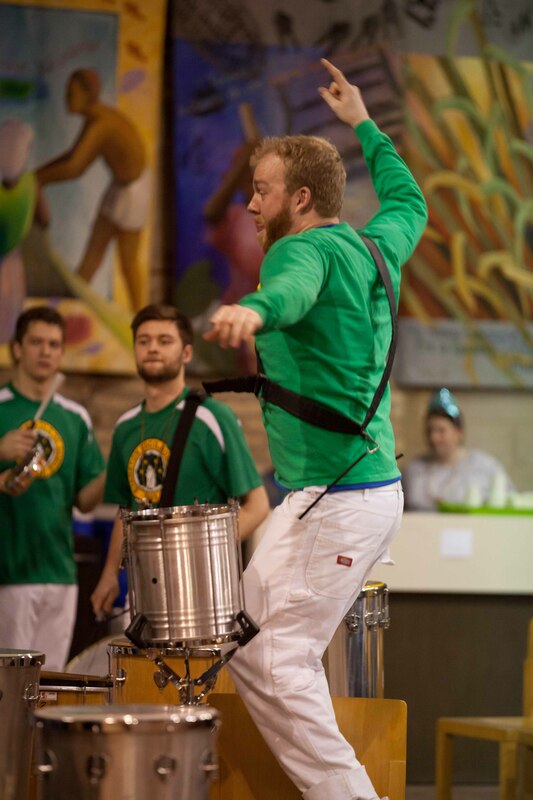 The parade starts at 1030 so if you are in Madison come out and get some northern Samba exposure! So that’s just the beginning of our fall schedule and there will be much more to come! So keep checking back for updates!